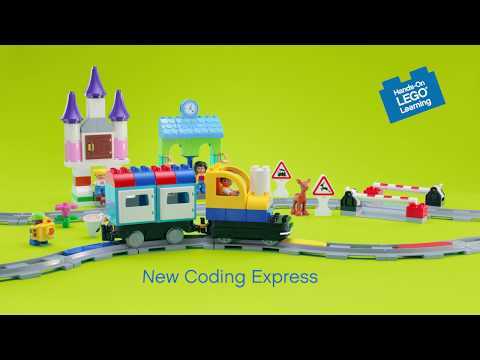 Welcome onboard the Coding Express – a creative, intuitive and collaborative way for preschoolers to learn early coding and important 21st century skills! 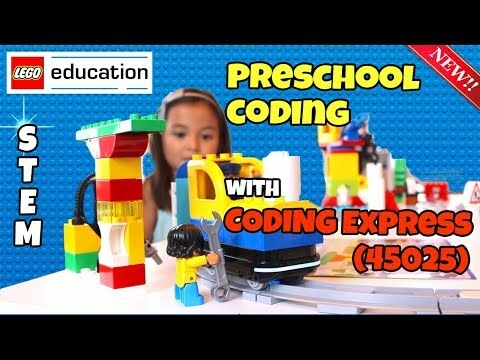 The new LEGO® Education Coding Express makes it intuitive and fun for preschool children to learn early coding concepts and critical 21st century skills through playful, hands-on learning with LEGO DUPLO® bricks. 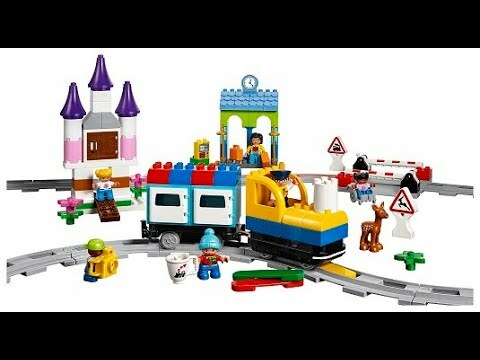 The new action bricks will make the train come to life as the children place them around the tracks to sound the horn, turn the lights on and off, pause and refuel, change direction and stop the train. Teacher guide includes 8 online lessons: 4 lessons use the physical set and 4 lessons use the digital app. 6 building inspiration cards to build 12 unique models, introduction guide, large inspirational poster and 8 simple video tutorial. 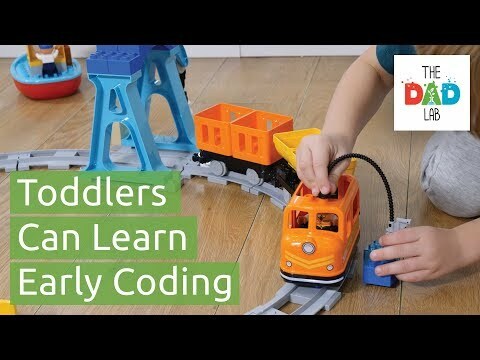 3.8 meters of toy train track including crossings, stops and 5 traffic signs.